Everyone loves picking up a bargain in the January sales, so we recommend that our clients also consider running a special gift voucher promotion as a ‘January Sale’ with vouchers available at a discounted rate or with extra value added to them. Our unique gift voucher management system enables our clients to easily create or amend existing gift vouchers, which are then automatically displayed on their gift voucher website, ready for their customers to buy online. Clients are also able to set the validity of the gift voucher (i.e. only valid in January & February) so that the voucher is only valid during an ‘off peak’ time period. 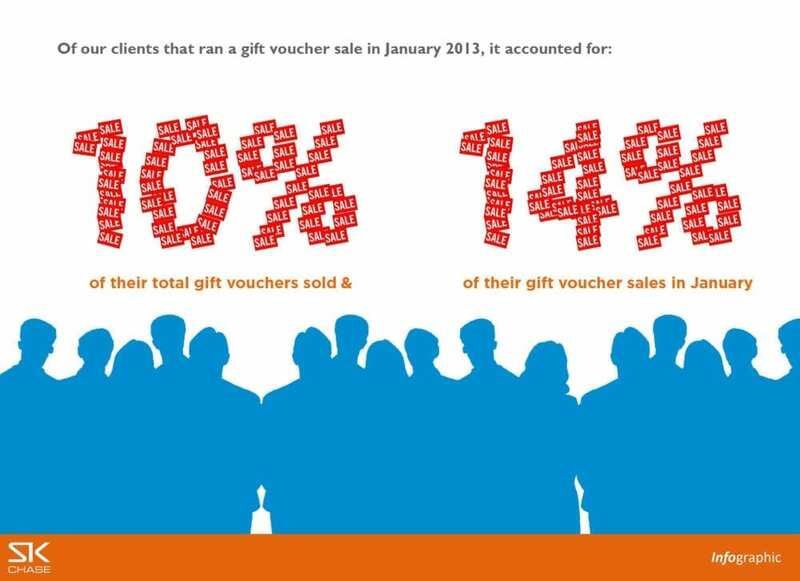 As our infographic shows – clients that run a January sale and promote it to their customers via email and social media can expect to boost their gift voucher sales in their quieter months.